The most beloved family show in the world, featuring an amazing cast of housecats, dogs, parrots… even geese and mice! 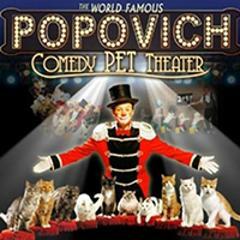 Critics describe the show as a unique blend of physical comedy, world-champion juggling and the extraordinary talents of more than 30 performing pets. Gregory Popovich has rescued these animals from shelters all over the country and has transformed them into Las Vegas stars. Now, they love to show off onstage - by performing a variety of stunts and skits! Audiences will be delighted to see this extravaganza of European-style clowns, amazing juggling and balancing acts, and of course, very talented performing pets. It's a show that both adults and kids of all ages enjoy! 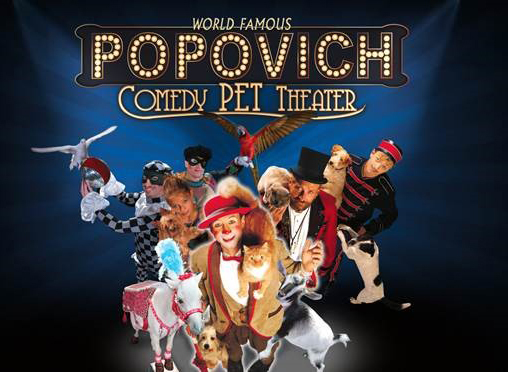 Gregory Popovich, winner of many international circus competitions, and hi furry friends, buring their Comedy Pet Theater to Las Vegas after a world tour of more than 20 countries!